Products: Fruits & Softness for Children. 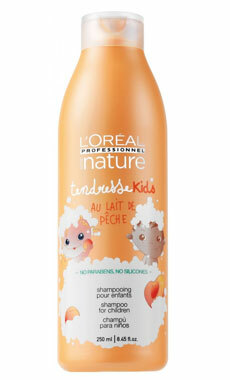 This is a shampoo for children with delicious scent of peach. The soothing and energizing power of white peach makes this an ideal shampoo for children. Paraben and silicone free, this natural formula does not sting the eyes. Note Collection Hair: Nature Series L’Oreal Professional is committed to eco-responsibility for a greater respect of the environment.